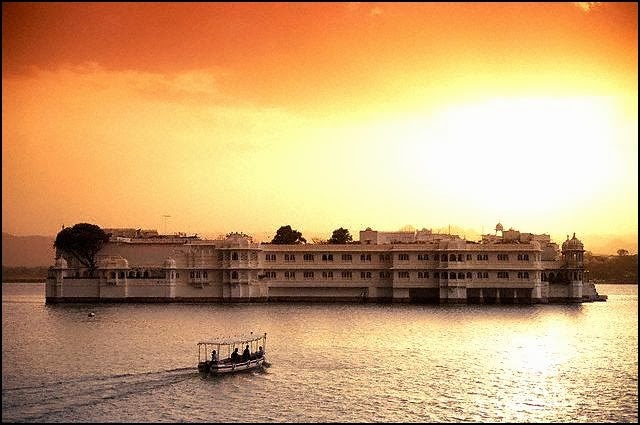 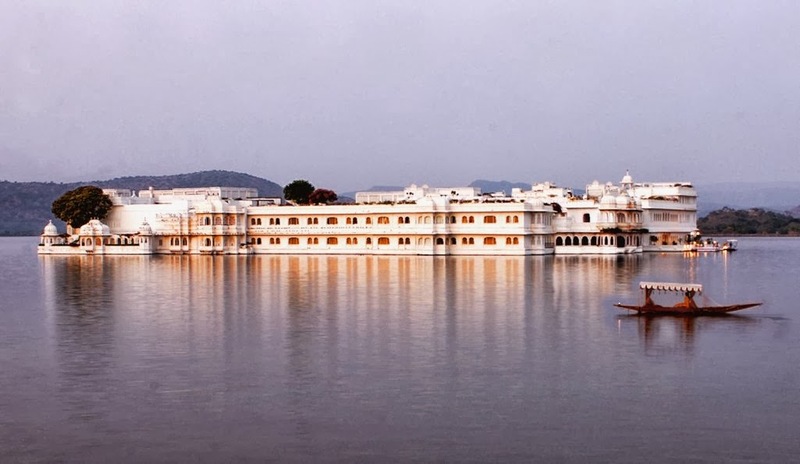 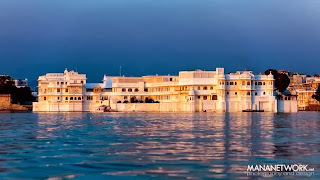 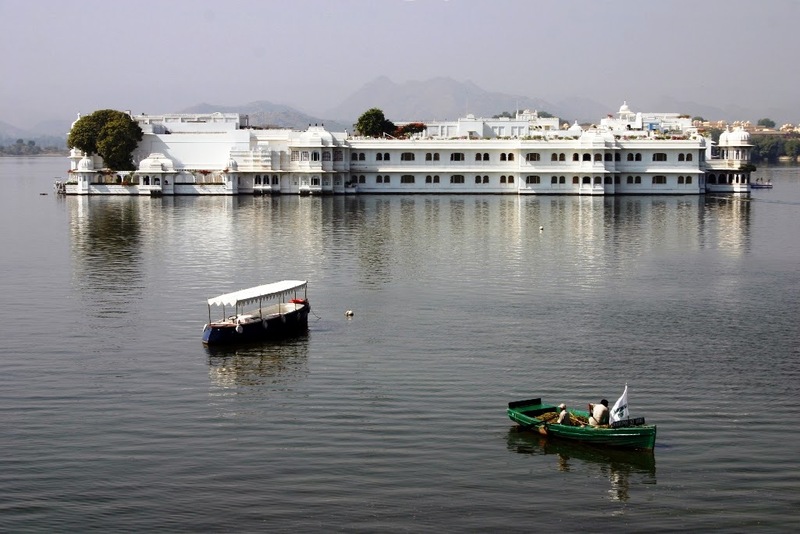 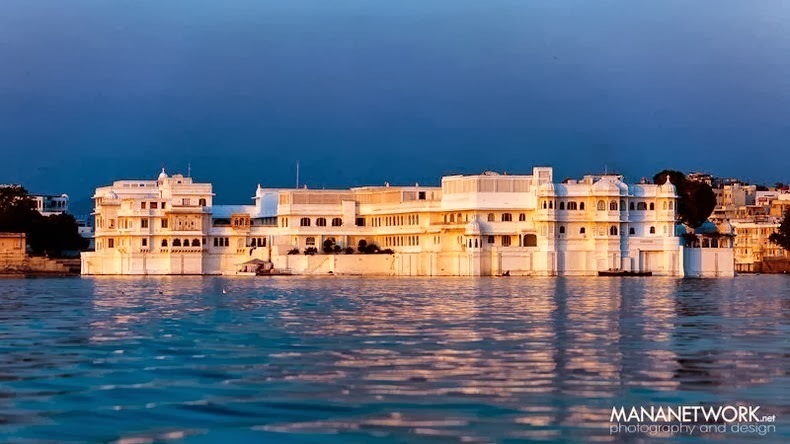 Like a sparkling mirage in the middle of Lake Pichola, the Palace is easily one of India’s most prominent hotels. 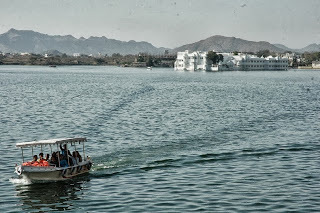 It is located in the middle of Lake Pichola in Udaipur city, an architectural wonder constructed in white marble and mosaic, resembling with Taj Mahal. 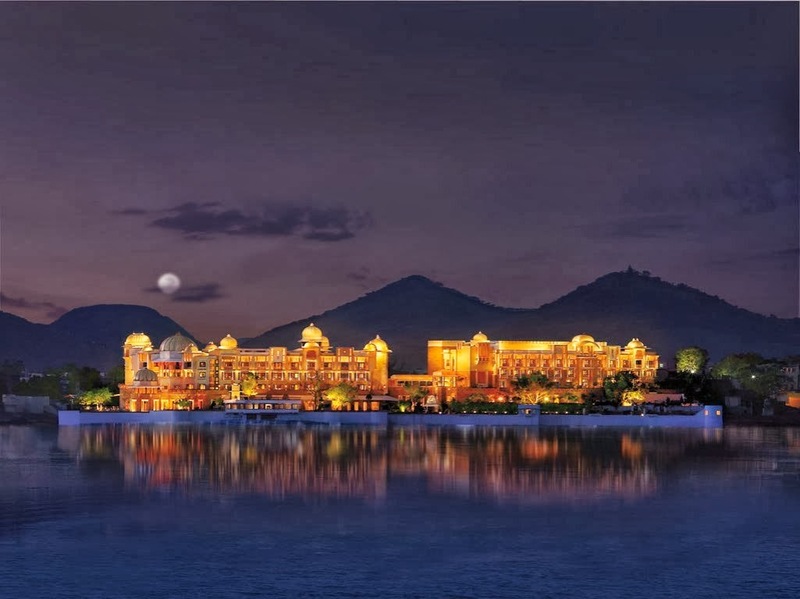 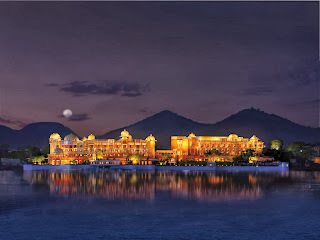 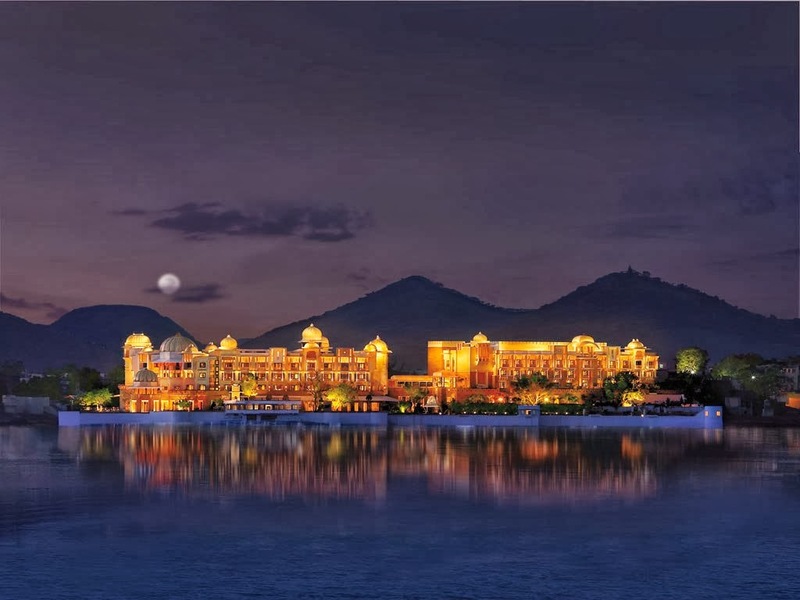 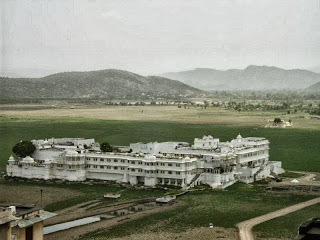 Set against the backdrop of the magnificent Aravalli Mountains on one side of the lake and palaces on the other, the hotel is spread across a four acre island. 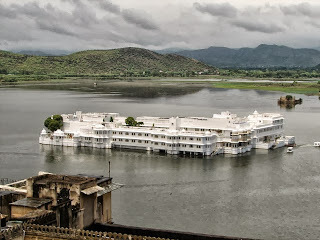 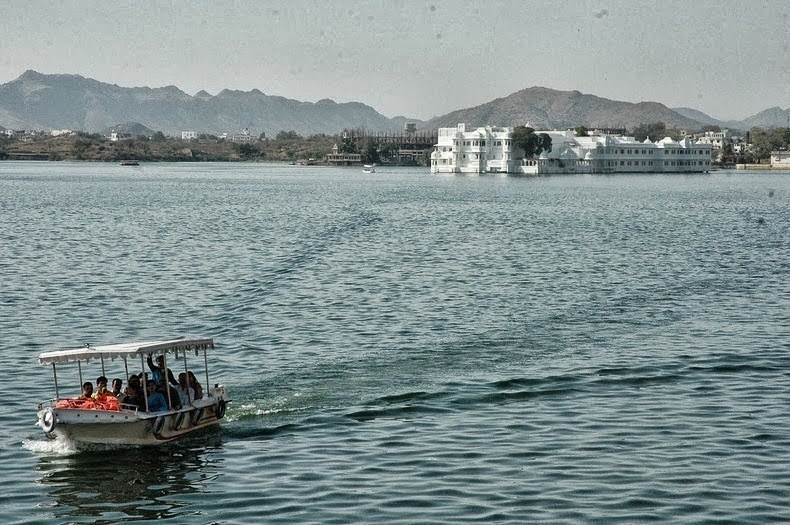 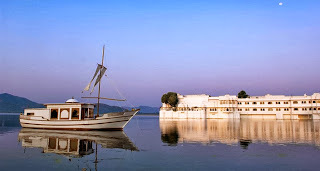 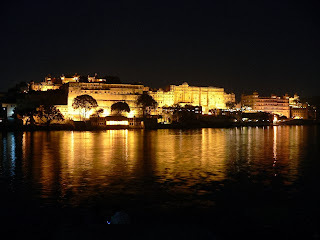 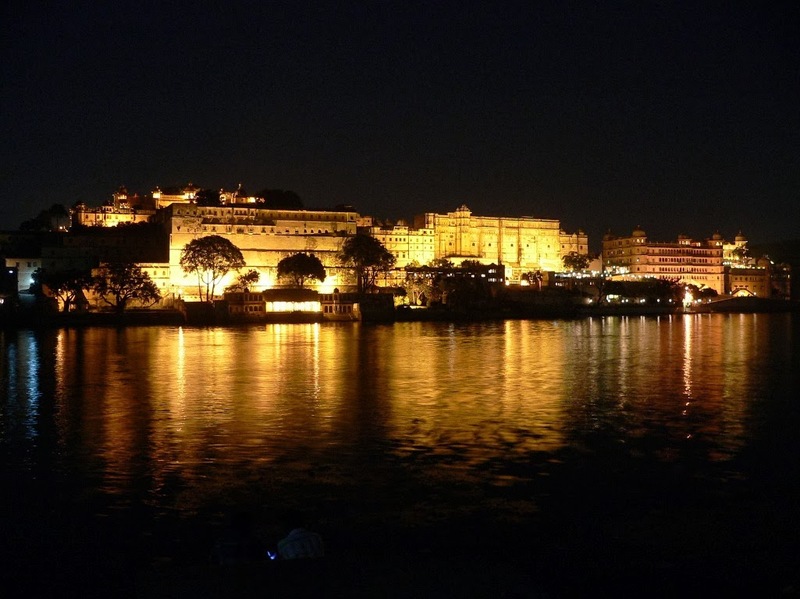 The majestic Udaipur City Palace is one of the architectural marvels of Rajasthan and the most visited tourist attraction of Udaipur and often distinguished as the largest palace complex in Rajasthan. City Palace boasts of the magnificent blend of Medieval, European and Chinese Architecture. The fabulous Palace has different towers, domes and arches, which add to the flavor of heritage site. 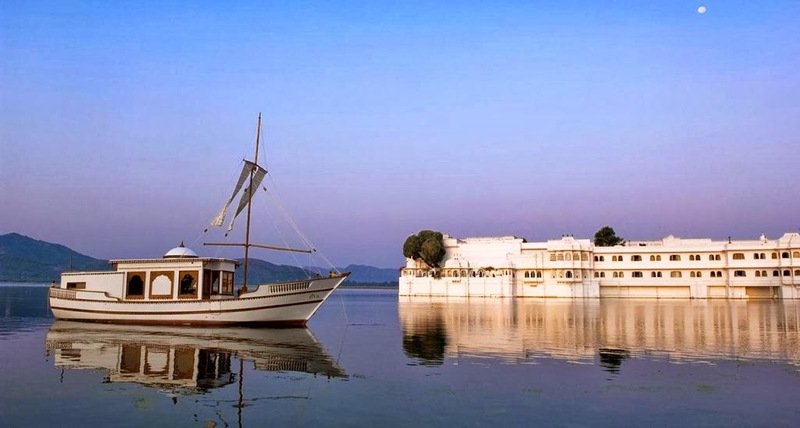 Towering on the banks of Pichola Lake, City Palace is truly a feast to the eyes, and marvelous assortment of courtyards, pavilions, terraces, corridors, rooms and hanging gardens. 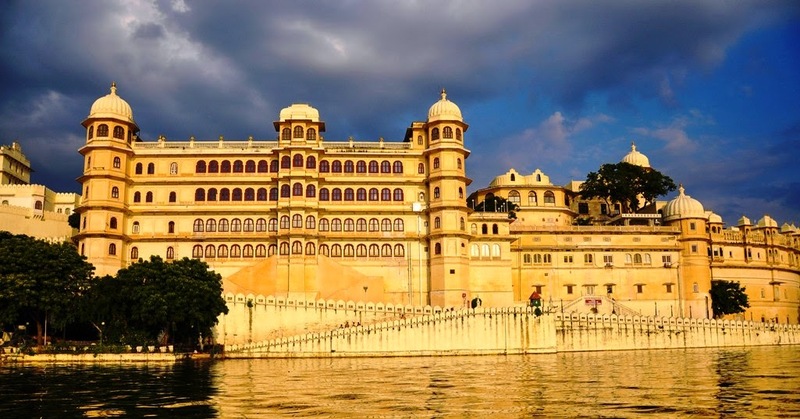 Encircled by fortifications, this imposing Palace is wholly built in granite and marble. 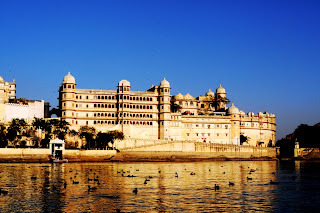 At first, Maharana Udai Singh built this terrific wonder, and present Palace form is the result of subsequent additions by his successors. The Palace was built in between 1743 and 1746. 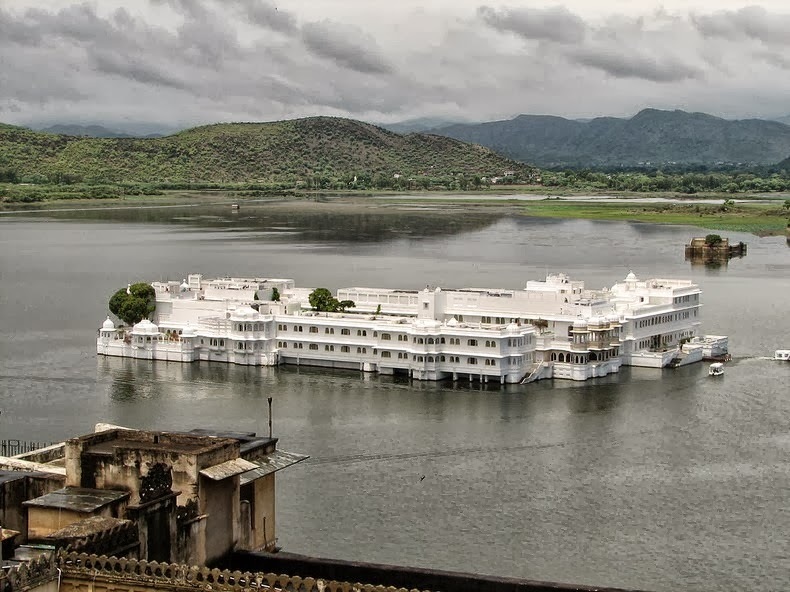 When the water level is high, it hides all traces of the island and the palace appears to be almost floating in the water. 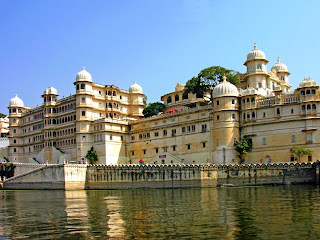 City Palace has a number of gates that are known as "Bara Pols" (Great Gate) is the main gate to the City Palace complex. 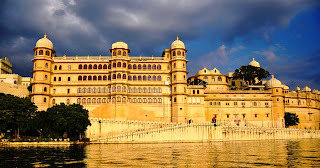 City Palace comprises 11 magnificent palaces, which were superbly built by different rulers still they be similar to each other. Therefore; with the sheer glimpse of unique paintings, antique furniture and beautiful glass mirror & ornamental tiles work of these palaces, you will definitely amazed. Manak Mahal has figures of crystal and porcelain. 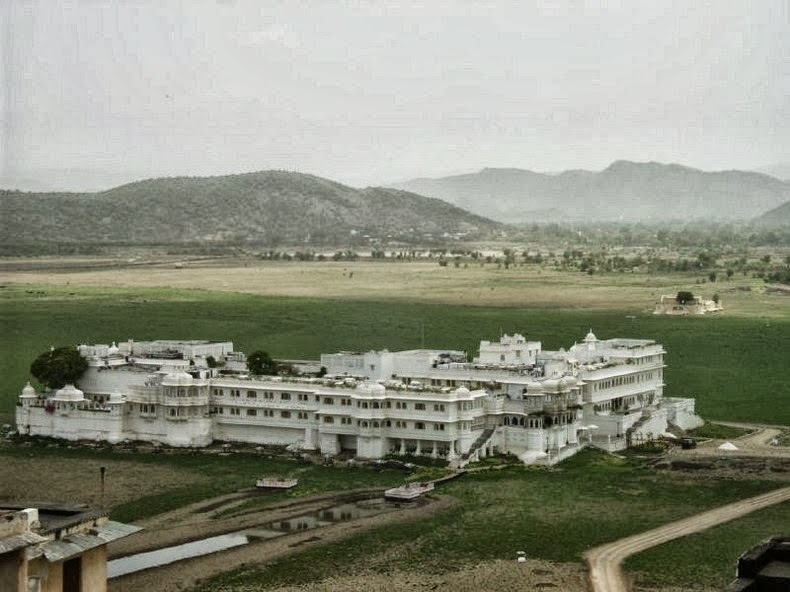 However, Bhim Vilas flaunts a fabulous collection of miniature paintings depicting the real life stories of Radha-Krishna. 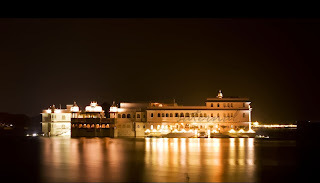 In 1974, a part of the City Palace and the 'Zenana Mahal' (Called Ladies Chamber) have been transformed into a lovely museum. Futhermore; “Amar Vilas” is the highest point of Palace and has astonishing hanging gardens with fountains, towers and terraces. City Palace is structured in a way that it offers a fabulous view of the lake from all its Balconies, cupolas and towers. 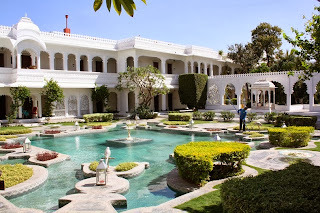 Contrasting the craggy exterior, City Palace has remarkable interiors with delicate mirror-work, marble work, murals, wall paintings, silver work, inlay work and surplus of colored glass. The delicate work of City Palace cannot be bounded in words, so one must visit this palace to capture the real picture of it.